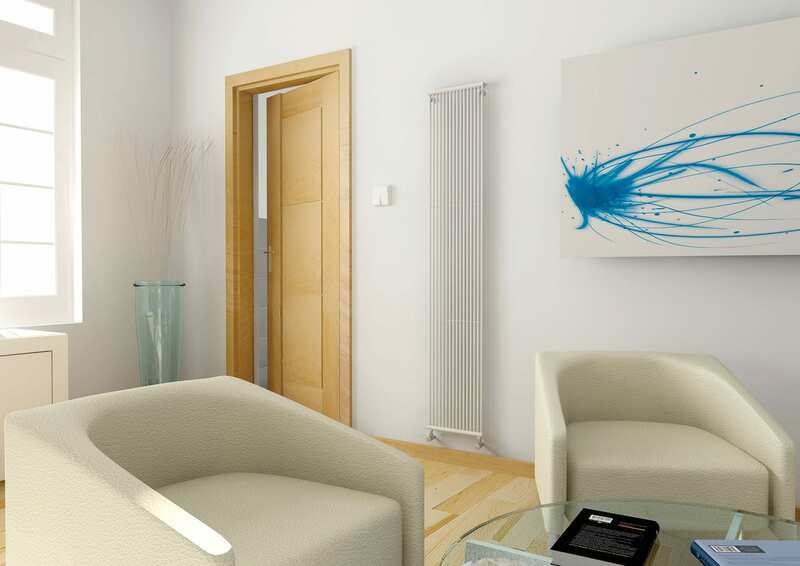 Use the steps above to customise the colour and size of your radiator. Vistaline is available from stock in RAL9010. Please note: all colour radiators have up to an 8 week lead time, and when a coloured radiator(s) have been ordered they cannot be cancelled or returned. The colours shown are reproduced as accurately as this process will allow and can be made to order on the identified products. The Vistaline is available in a range of 35 colours. With exceptional heating performance and a range of sizes and outputs for greater versatility, the Vistaline offers elegant and stylish vertical lines that will fit into any domestic or commercial environment. Available with a single or staggered double row of tubes for maximum heat output flexibility, the Vistaline is available in a wide range of colours.